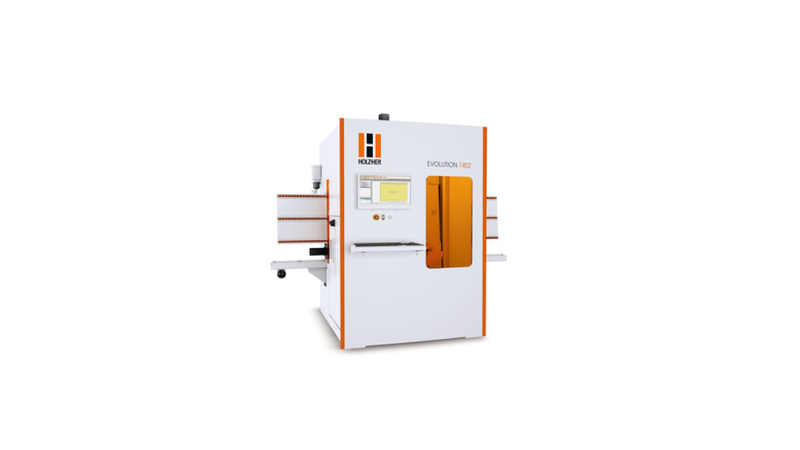 Unique in the vertical CNC machines for woodworking - you have the choice - perfectly tailored to your needs as EVOLUTION 7402 or the power version EVOLUTION 7405 Connect. The machining possibilities of the vertical CNC machining centers of the EVOLUTION series are almost unlimited. A selection of solid wood vacuum cleaners is available for processing solid wood frames and panels. Curved solid wood parts, furniture fronts made of MDF for varnishing, milling and drilling furniture fronts, engravings or the complete processing of counter tops are further possible applications in which the EVOLUTION series feels at home. The vacuum-based clamping system (patent pending), which protects the material, is equipped with a software-controlled, fully automatic suction cup positioning system with through-hole detection and allows workpieces up to 1600 mm in length to be machined on all sides without reclamping. This also ensures extremely short cycle times and maximum precision, even for long components. The Connect equipment variant enables the insertion of pockets and grooves for the P-System connectors from Lamello. You can mill these - but also other connectors - into the surface on all 4 edges as well as in the X and Y directions. 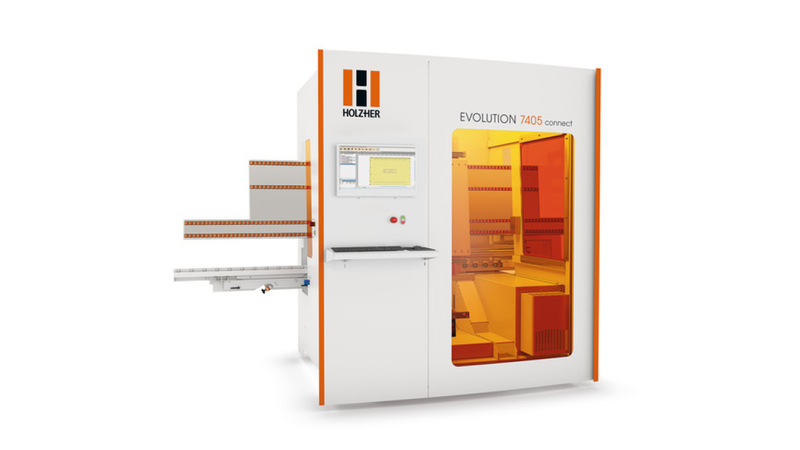 HOLZ-HER has therefore extended the EVOLUTION with an additional seventh tool changing station, a newly developed unit and the appropriate programming macro.